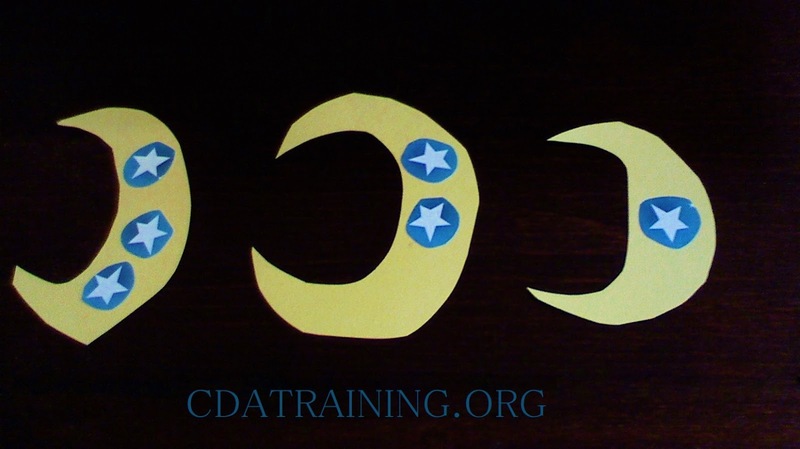 Cut out stars and attach them to a cut out of a moon. 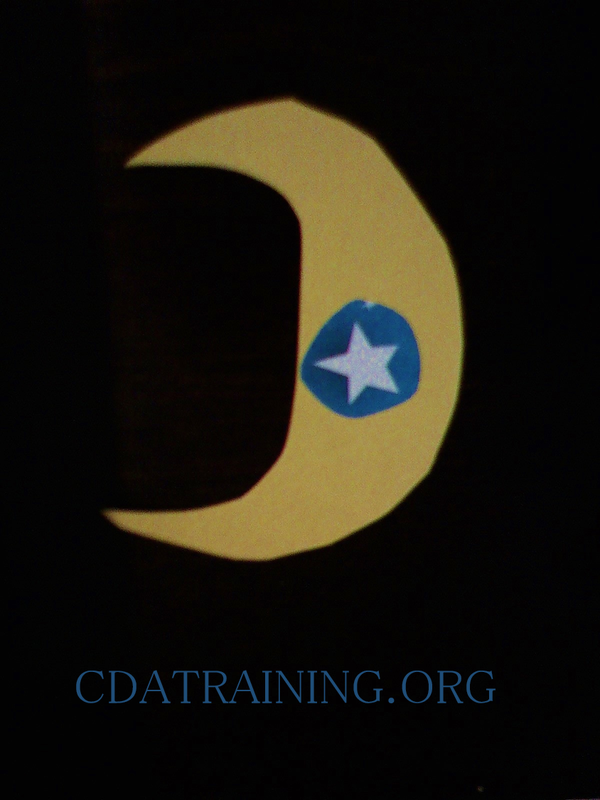 Each moon represents a night, ask the children to tell you how many stars come out each night. You can also use the moons to practice the days of the week. Write the days of the week on the white board or chalk board. Put a moon in each day of the week and ask the kids how many stars came out Monday night? Tuesday night? How many stars came out all week?